The Simmons Bank Visa Platinum currently has an Informr score of 8.8 out of 10. This score is based on our evaluation of 5 sources including reviews from users and the web's most trusted critics. 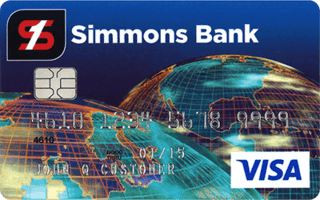 Simmons Bank Visa Platinum is typically available to those with excellent credit scores (650 or greater). There are individuals with no current debt that realize that they may possibly incur debt in the future. These cardholders would be wise to have the Simmons Bank Visa Platinum available in order to minimize their interest costs in the future. If you carry a balance on your credit card, you’re probably paying too much in interest. The Simmons Bank Visa Platinum card’s low annual-percentage rate can help you keep a little more of your hard-earned cash in your wallet. If you’re looking for a credit card with few fees, and a low interest rate, the Simmons Bank Visa Platinum card could be a helpful solution. Offers multiple perks, and has been named best credit card by numerous publications. It offers something that most elite credit cards don't provide: free balance transfers. That means you can pair this account with your favorite rewards credit card or cash back credit card whenever you can't pay off a purchase within a single statement cycle. This one-two punch can help you finance large purchases, like appliances or vacations, when you don't have access to a zero interest teaser rate from another lender. This card is best for those who typically carry balances from month to month and should rely more on a low-interest, low-fee credit card than cards that include extra rewards or benefits. Also, if you are currently working on paying down a balance on a credit card with a high APR, you can break free and pay down your balance faster by transferring it to this card.